Syria’s army and its allies are tightening their grip on rebel-held parts of eastern Aleppo. But as civilians tried to flee on Wednesday, dozens were killed and injured in an artillery attack by the Assad regime, according to local rescue workers known as the White Helmets. The emergency responders posted footage of what they said was the aftermath. The images are graphic and many may find them distressing. Also on Wednesday, Syrian state media reported deadly rebel shelling in the government-controlled west of the city. For President Assad’s chief ally Russia, the Syrian army advance is a liberation for trapped civilians. As Russia said it would provide safe passage for aid supplies into eastern Aleppo, the Syrian military denied claims by the British-based monitor the Syrian Observatory for Human Rights that the regime was detaining some of the thousands of people fleeing. 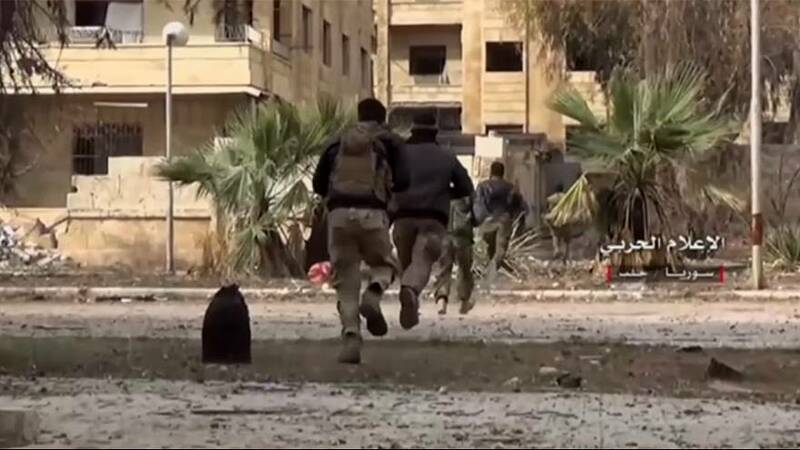 A Syrian military source said only that checks are being made to weed out militants. Food is becoming increasingly scarce. “We are, of course, extremely concerned about the situation of especially little kids because they are much more vulnerable than adults…and can be weakened much faster,” World Food Programme Spokeswoman Bettina Luescher said on Tuesday. Up to 100,000 youngsters are unable to escape the destruction, according to the Save the Children charity, in a place widely described as Hell on Earth.